After losing his friend Bradley Nowell to a heroin overdose, Todd Zalkins aka “Z-MAN” fights for his life in what will become the worst drug crisis in American history, the opioid epidemic. Against all odds, Todd is able to break a seventeen year addiction to prescription pain-killers and dedicate his life to helping others who struggle with addiction. In a twist of fate, Todd is presented with an opportunity to help Bradley Nowell’s son Jakob battle his own addiction with drugs and alcohol. A story of redemption and recovery, The Long Way Back shatters the stigma associated with prescription painkiller addiction and offers a strong message of hope and awareness. 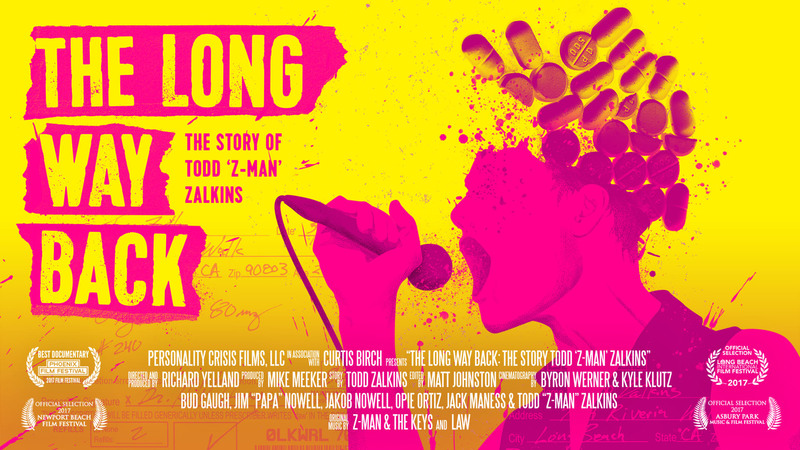 After losing his friend Bradley Nowell to a heroin overdose, Todd Zalkins aka “Z-MAN” fights for his life in what will become the worst drug crisis in American History, the Opioid Epidemic. Against all odds, Todd is able to break a seventeen year addiction to prescription pain killers and dedicates his life to helping others who struggle with addiction. In a twist of fate, Todd is presented with an opportunity to help Bradley Nowell’s son, Jakob battle his own addiction with drugs and alcohol. 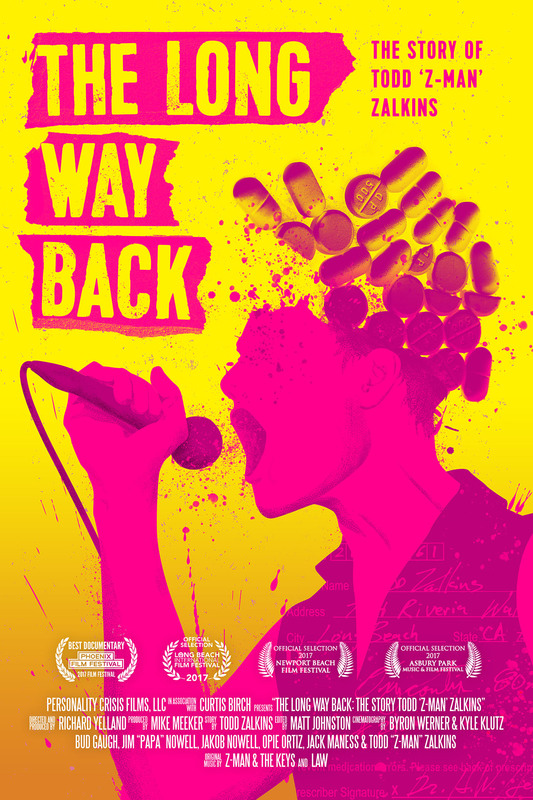 A story of redemption, and recovery, The Long Way Back shatters the stigma associated with prescription painkiller addiction and offers a strong message of hope and awareness.